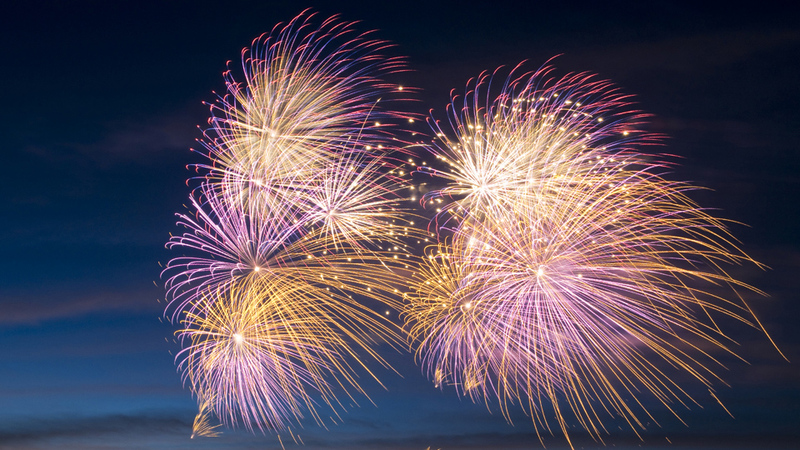 Exploring the science behind fireworks, discover how different elements are used to produce different colours of fireworks. In the mid-19th century the inventor if the Bunsen burner, Robert Bunsen, discovered that pure elements burn with distinctive flame colours. Potassium produced a lilac flame. The different colour flames produced were due to the movement of electrons between electron shells. Their brilliant blues and greens, reds and oranges, can transform the night sky. But just how are the different colours made? Back in the mid 19th century, the inventor of the Bunsen burner, Robert Bunsen, discovered the phenomenon of flame colours.